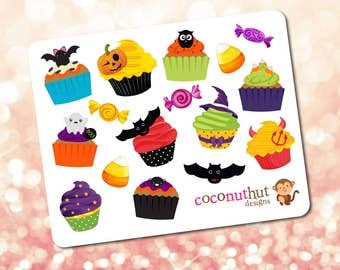 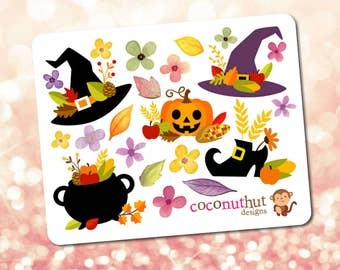 A mini sheet of Thanksgiving and autumn treats stickers. 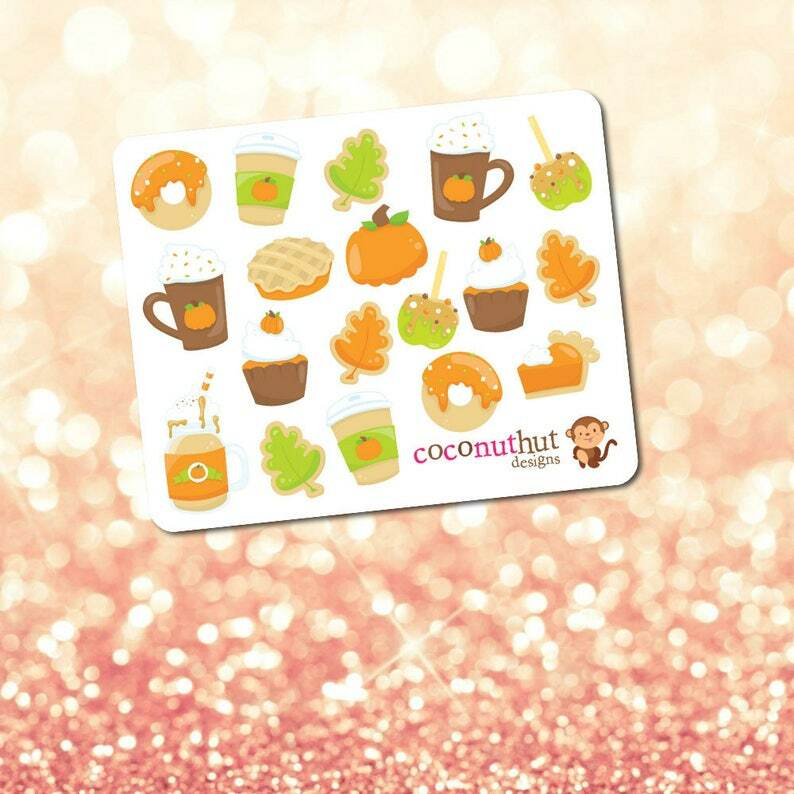 Sticker sheet measures approximately 4.25 x 3.5 inches. 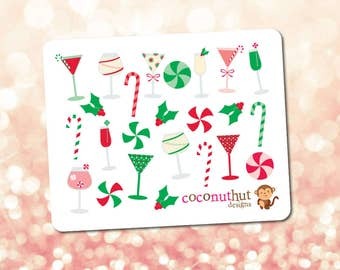 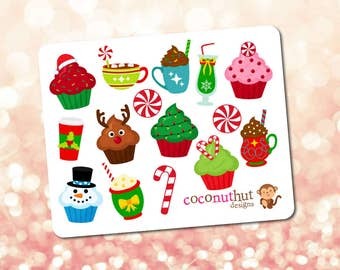 Individual sticker sizes vary, approx .6"- 1".